RMI Industrial Services will customize, build and install welded modular pulse jet dust collectors based on your specifications and requirements. At RMI Industrial Services, we also prepare fabrication drawings and have the capability to have our designs approved by professional engineers. 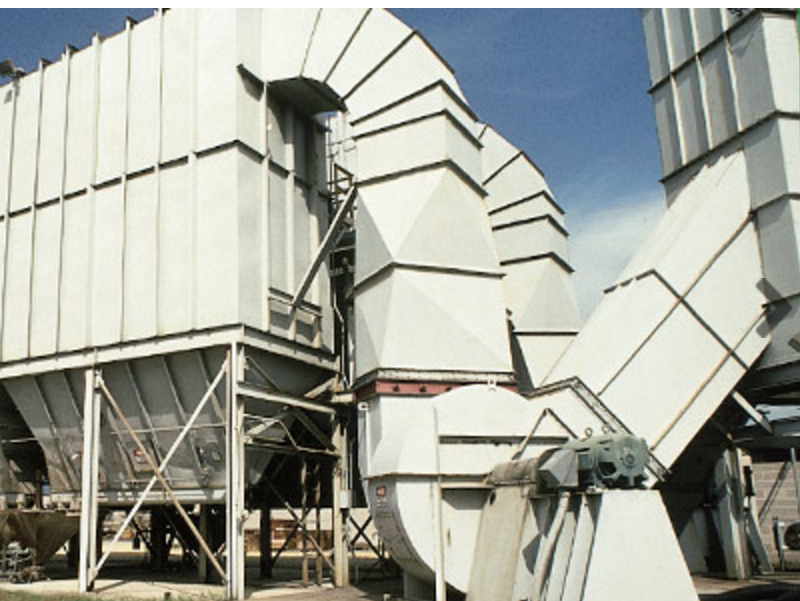 RMI provides dry particulate filtration technologies for product recovery, regulatory compliance and nuisance dust collection. 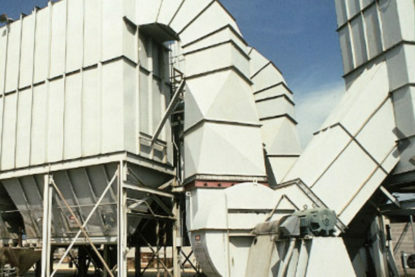 RMI has been providing engineered solutions for a wide variety of applications and environments since 1959. 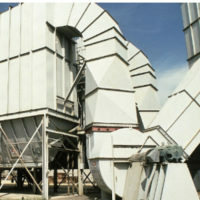 Welded rectangular dust collectors, sometimes referred to as a bag house, offer excellent filtration efficiency for product recovery systems, large bin venting applications and general nuisance dust collection. Easy installation: Depending on size, unit may be shipped completely assembled. Or, welded sections are shop assembled for quick and easy field erection, low field labor costs. Quick-mounting air headers: In most cases, compressed air headers are shipped pre-wired and pre-piped, ready to mount. Low operating costs: Smart Timer™ reduces energy costs: Programmable timer maintains low-pressure drop, with minimum compressed air consumption. Maintenance costs are reduced. Supplied as a standard item to provide evaluation of collector operation and optimize bag cleaning capacity and life. Minimum maintenance: No internal moving parts. Interior maintenance is greatly reduced. Collector shut-down time is minimized. Quick bag replacement: Bag and cage are designed to attach easily, permitting quick, no tools necessary bag replacement.